Take copies of all previous orders issued in your case. Restraining orders and temporary protective orders are particularly important if you are attempting to demonstrate the other parent poses a danger to you or your child. Ohio uses the best interests of the child standard to make custody determinations and one of the factors examined within this standard is the continuity and stability of the child's home life. Consequently, if your temporary custody order gives you full custody, the judge will be more likely to give you permanent full custody and maintain the status quo. Your communications with your ex can help your case if your ex behaves unreasonably, makes threats or demonstrates poor decision-making with your children. Bring any relevant e-mails, letters and text messages, and flag or highlight the important portions of these communications. If you have ever called the police on your ex, bring any police reports and criminal, probation and sentencing information. Be prepared to argue how this information is relevant to your case. For example, an arrest 10 years ago may not be relevant, but a recent police call for domestic violence almost certainly will be. 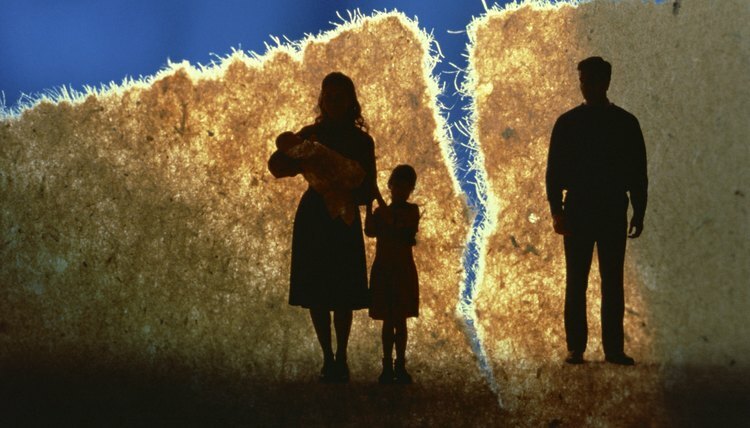 Ohio law requires that all parents attach a parenting plan to their initial custody filing. You should be prepared with your parenting plan at your hearing. If you are allowing your ex some visitation, you must be prepared to answer questions not only about the specifics of this visitation arrangement but also about why the plan is in your child's best interests. If your case goes to trial, you will be permitted to call witnesses who must be present. Provide witnesses who can testify to your competence as a parent and call any witnesses who have witnessed abuse or irresponsibility in the other parent. If your ex is making any allegations against you, you should also call witnesses who can refute these allegations. If you have hired an expert witness, bring her to testify at your hearing. Ideally, your expert should also have a report available about why your custody arrangement is in your child's best interests. A reliable expert will have met with the child several times and, if possible, have observed the other parent with your child. If there is a guardian ad litem who has been appointed in your case, you should also bring a copy of her report, even if it conflicts with your parenting plan. Knowing the contents of the guardian's report can help you to competently advocate for you and your child.